Kanye West recently revealed the beef between he and Jay Z. However, the real bad blood may be between their wives. During a concert in Seattle, Kanye went on a rant dissing Jay Z for not checking on Kim Kardashian in person after being held at gunpoint. He also spilled some real hot tea as he claimed North West and Blue Ivy Carter have never played together. Sources say Beyoncé is to blame because she does not like Kanye’s better half. 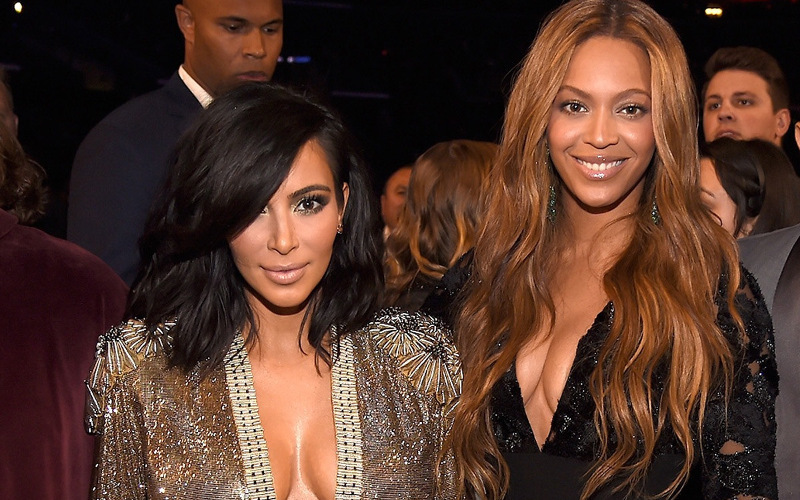 Beyoncé allegedly tried developing a relationship with Kim, but eventually decided to keep her distance from the socialite. This could also give us an insight on why she skipped Kanye and Kim’s 2014 wedding, despite already having their named engraved in marble at the table they were supposed to sit at the wedding dinner. No one should really be surprised that Blue and North have never played together. We also can’t be surprised that Beyoncé does not it see it for Kim. They probably have very little in common and I assume the “awkward pauses” are frequent and uncomfortable for everyone around them. Kim may have at one point done anything in her power to be BFFs with Beyoncé. However, it seems she has given up on forging any type of relationship. And I can guarantee Queen Bey is not pressed or losing sleep over the matter. Don’t hold your breath waiting on a Carter-West cookout or playdate.